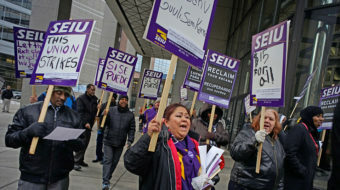 It took many strikes, but janitors win industry-wide pact. Ada Edwards, a former Houston city councilor, spoke along with the pastor at St. John's Methodist Church. When you win, we all win, she told the hundreds of workers at the rally. 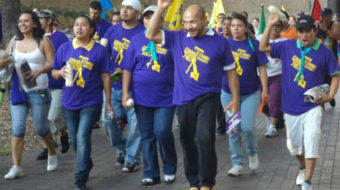 Tomorrow the Houston janitors' strike, now in its second week, will spread to eight cities across the country. 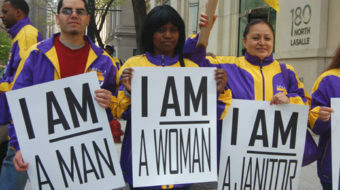 The strike has garnered significant national support. 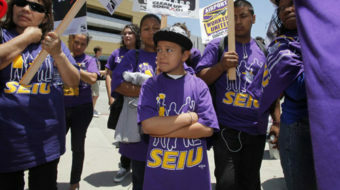 Many of the janitors employed by big corporations such as Exxon Mobil, Chevron, Shell, Penzoil, Centerpoint Energy, and Reliant, do not make enough to provide food for their families. 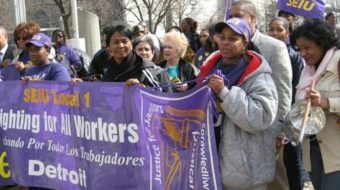 Detroit janitors fight foraffordable health care as key contract issue. " I'm tired of Parkay, I want butter too."